Raw silk Fairtrade scarf from Prey Veng Province in Cambodia. 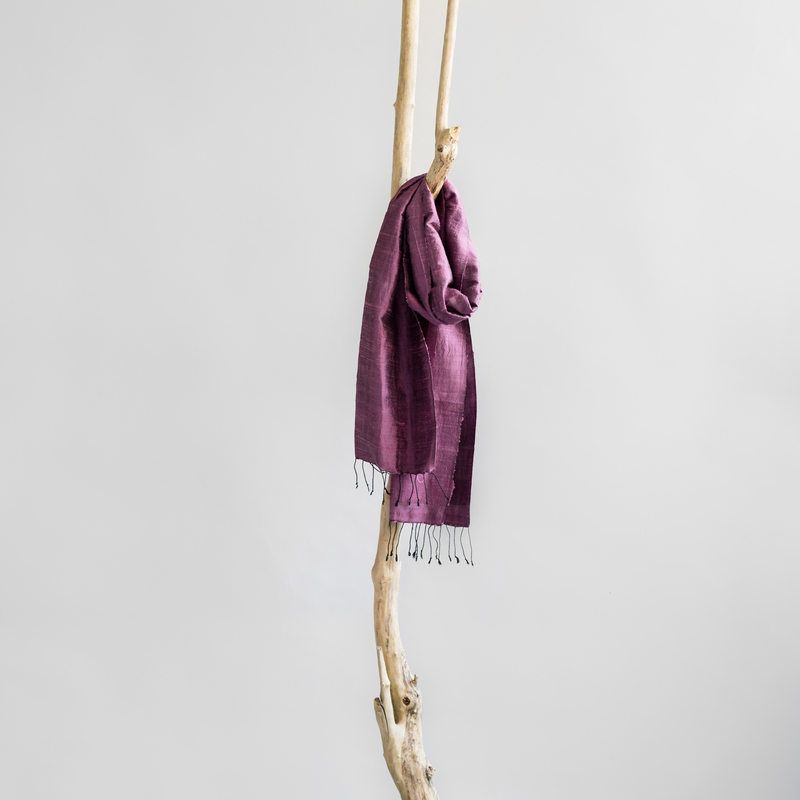 We love this versatile scarf! It is handwoven by three sisters: Sonin, Sona and Sonee Chum. The girls live in a farmer's village in Prey Veng Province, Cambodia. 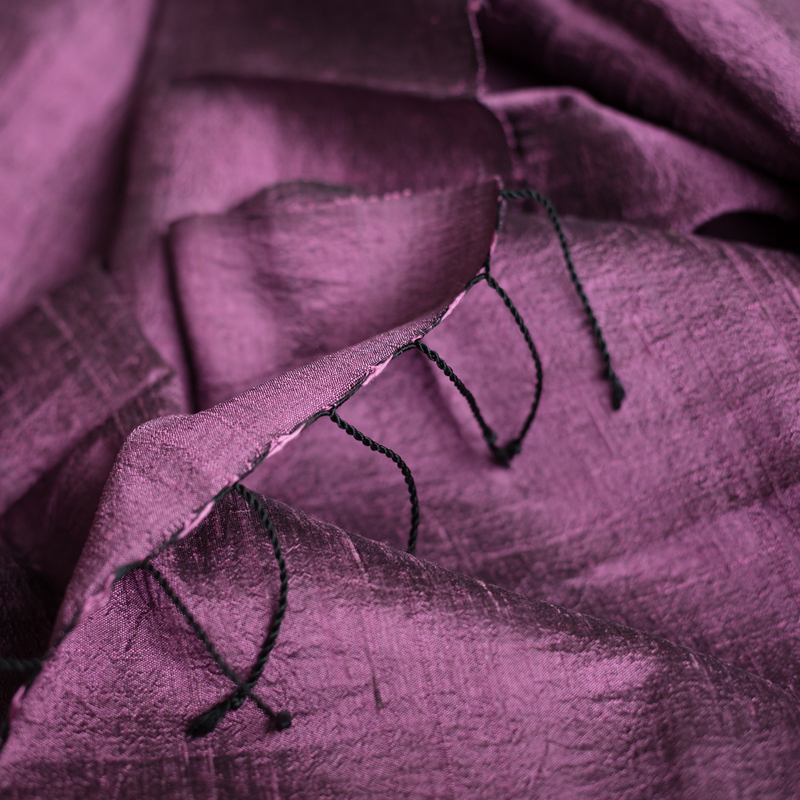 The girls' signature is that they use lustrous raw silk and weave it over soft silk of a contrasting colour. The sisters are working with Ratanak Khmer, a local Fairtrade organisation.